So you want a website! Well then, help us, help you with that! Just fill out the Website Questionnaire below, click submit and the process begins. As easy as that! No worries! What You Get In Our Websites. We will design you a website that is mobile compatible and responsive. We will also register your new website with Google and add Google Analytics to all your web pages. Also included is properly coded SEO (Search Engine Optimization) so that Google and other search engines can find your website. We don't promise you a #1 ranking (no one can) but we do promise your website will meet all the code standardizations and will show up appropriately in all search engines. 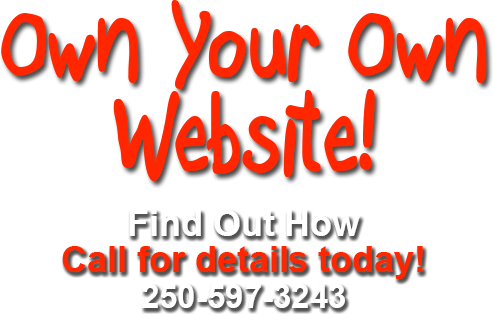 So You Need A Website! Well then, help us, help you with that! Just fill out the Website Request Form below, click submit and let the process begins. It's as easy as that! No worries! So that we can understand you better, we ask that you provide three websites that have the feel of what your looking for in your website. How About A Little Social Media?